There's a ton of different miniatures out there. Many of them have games they're associated with. Others don't. Some, you look at and really love the figure, but maybe not the game they belong to. So what're you supposed to do? 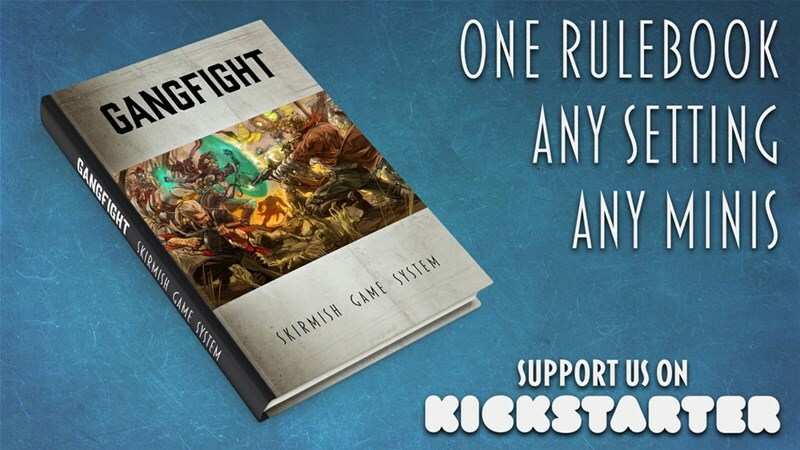 Well, if you back the Gangfight Games Gangfight Skirmish Kickstarter campaign, you can have a rules set that'll work with any miniature you might have out there. Sometimes you just miss out on a crowdfunding campaign. With so many going on all the time, it's easy to let one slip by, or maybe you just didn't have the funds at the time. But it's often not too late when that timer hits 0. There's usually a late-pledge period. 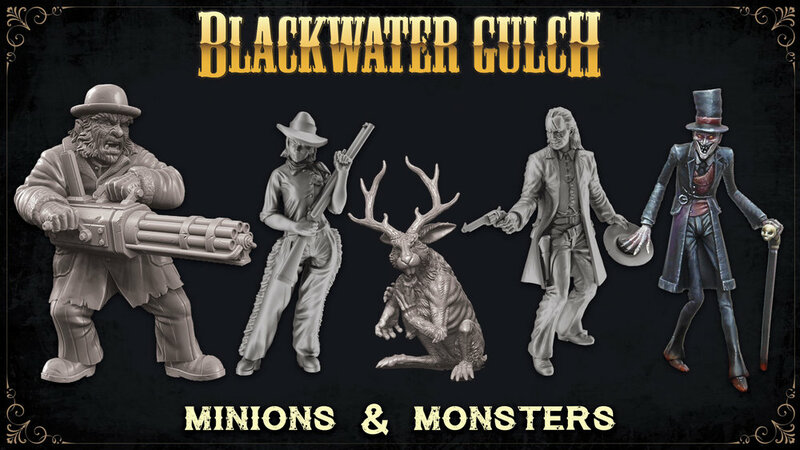 And if you're wanting to get in on Blackwater Gulch's latest Kickstarter campaign, Minions & Monsters, your chance is now. 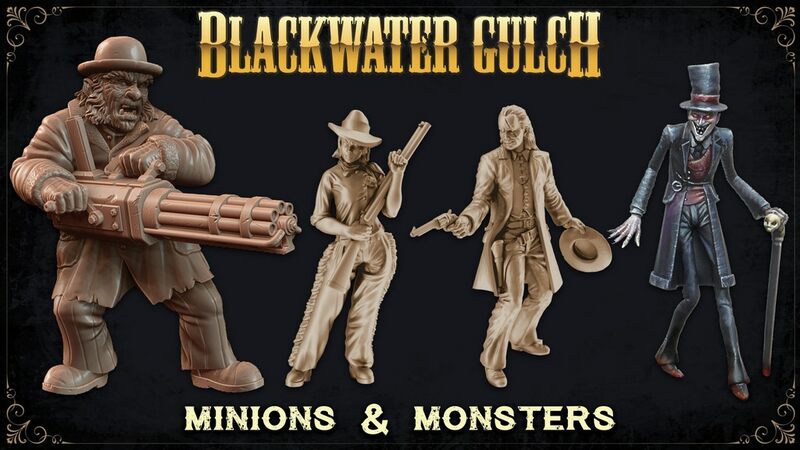 The folks over at Gangfight Games are chugging along with their newest Blackwater Gulch Kickstarter campaign. 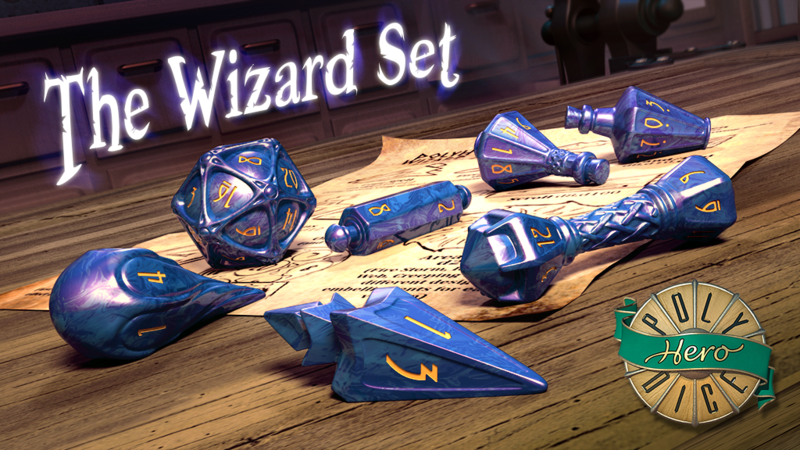 This new expansion looks to bring you a bunch of new figures, and they know that some of you might just want it all. So they've created a new pledge level that gives you just that. They're also showing off new renders for Tiny, the Ogre Lawman. If anyone's going to be able to wield an old-west-style Gatling gun, it'd be an Ogre. As you know, I love when a Kickstarter campaign is successful and then goes to regular retail sale. This is one of those posts. Gangfight Games had their Kickstarter to bring you a new edition of Blackwater Gulch. Now that the backers have their products, you can go in and get yours. There's the new rulebook and cards, as well as a bunch of faction starter boxes to get you going, pardner. 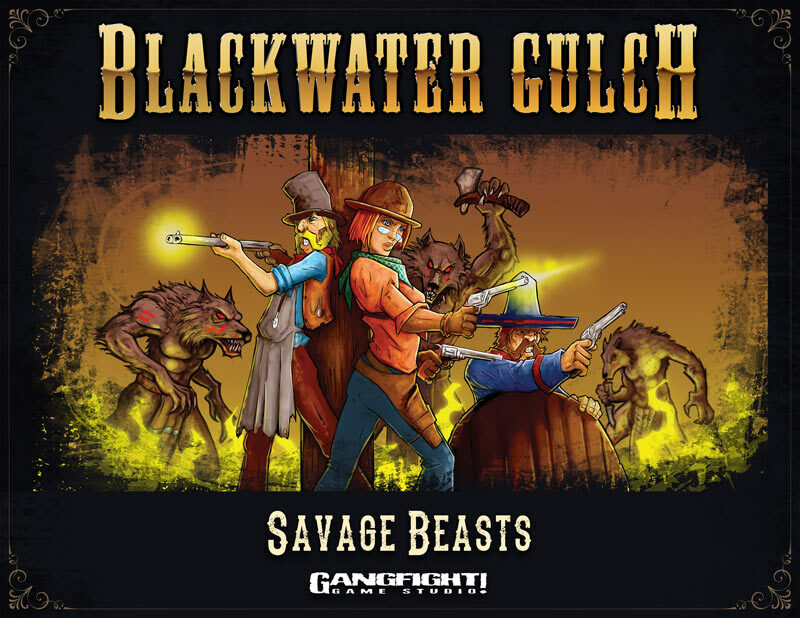 Gangfight Games is gearing up for a new Kickstarter campaign for Blackwater Gulch. They've posted up some artwork so you can be excited about it. And, I mean, one of the new figures they'll be looking to make is a weregator. So they've got my attention there. But that's not the only strange thing they're working on. We've made it back to Friday. We all know my love of today. But it's not just any Friday. 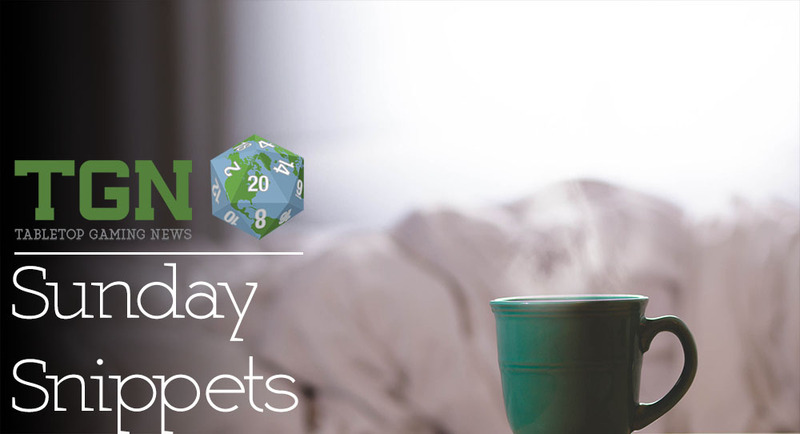 It's International Tabletop Day Eve. Yes, tomorrow we celebrate our hobby all over the world. Hopefully you're planning on going out and celebrating. Many LGSs and gaming clubs have festivities planned. Be sure to check with yours and see what's going on. And if you're going to be doing all that gaming, you should be well-fed. 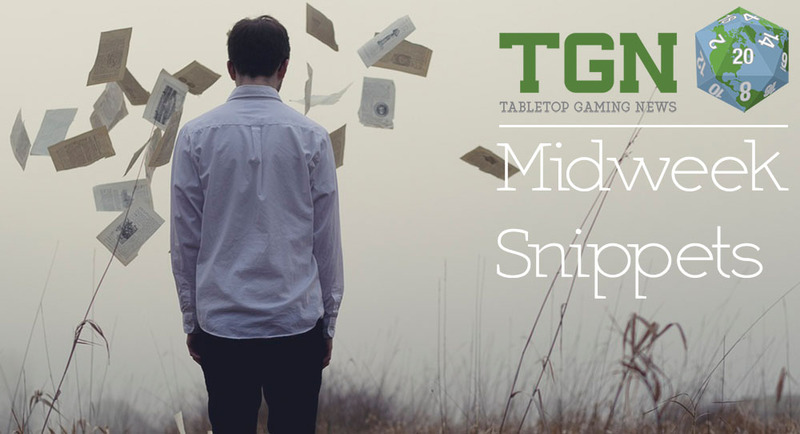 So let's nosh on some bite-sized gaming stories. 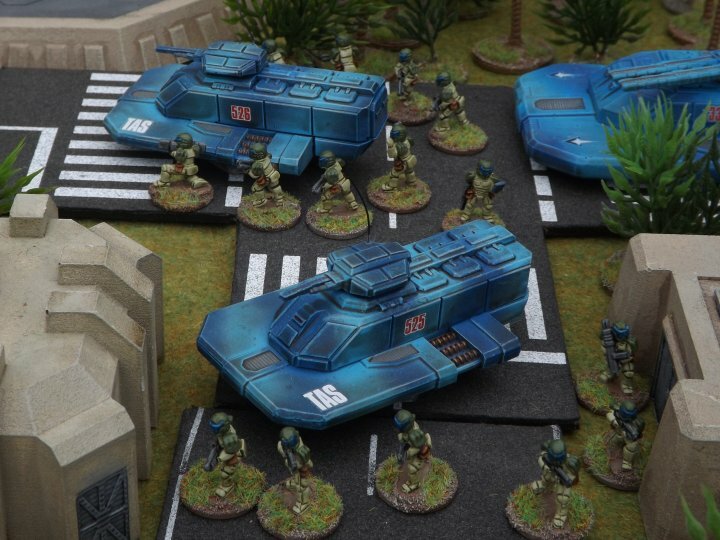 Today we have: New 3D Printable Tanks by 3DWargaming, Dark Sword Miniatures' Stephanie Law Masterworks Expansion Up On Kickstarter, Blackwater Gulch Pledge Manager closing May 1st, Runewars Miniature Game Official Army Painting Guides Available From The Army Painter, and RBJ Games' Significant Seven Kickstarter Reaches Funding Goal. 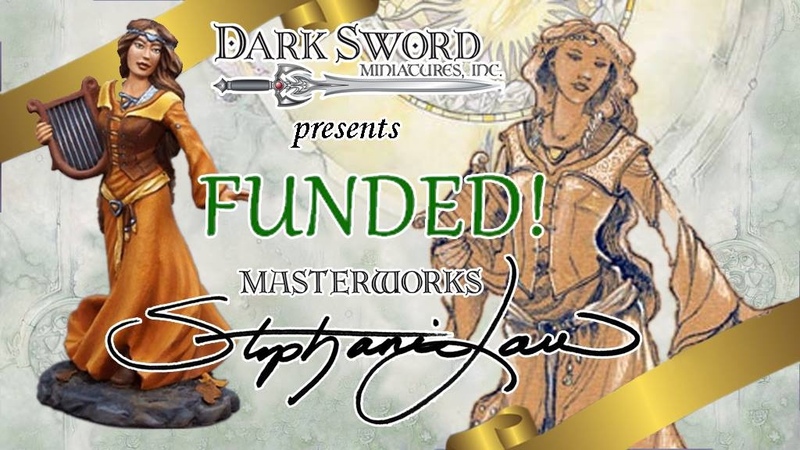 Since Kickstarter campaigns only run for a relatively short amount of time, it's very easy to miss one. And with them usually having special pricing and Kickstarter-exclusive pieces, you can really kick yourself for not getting in on one. Thankfully, there's the Pledge Manager period, where companies will also let you jump in on the action. Just such a thing is happening now with Gangfight Games and Blackwater Gulch. The work week continues along. It's already half-over, in fact. Hopefully yours is going well. Mine's not been great, but I'm making it through. Got board game day at the library coming up this weekend again. Should be a good time. But in the meantime, let's bulk up on some bite-size gaming stories. On the platter today we have: Final Day For D13 and D15 On Kickstarter: Now with Glow-in-the-Dark Dice, BugBear Miniatures WW2 US Troopers Preview, Rebel Minis Dark Hold Goblin Adventures RPG Last Days On Kickstarter, Divine Art Playing Cards Up On Kickstarter, New Iberian Cavalry Available From Victrix, Relicblade: Bone and Darkness Coming To Kickstarter Next Month, Ashton Campbell rides into Blackwater Gulch, and Kromlech New Release: Legionary Lascannon. The Year of New Editions rolls along. 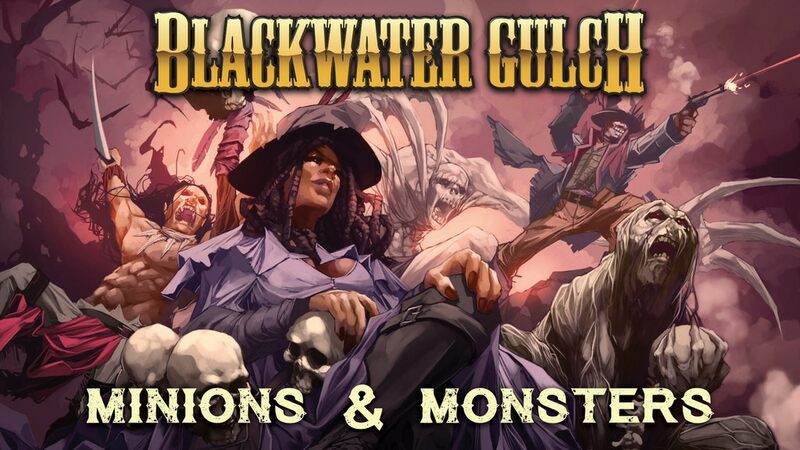 This time headed to the weird West with Gangfight Games' Blackwater Gulch, 2nd Edition. For those that don't know, Blackwater Gulch is set during the Gold Rush era (you know, like where the 49ers get their name from). Everyone's looking to strike it rich. Now, there's two ways to get gold. You can go out and dig it up for yourself. Or you can just ambush some unsuspecting prospector and grab it. This has created gangs all around the town, each looking out for themselves and their own. Adding to that, there's plenty of spooky and creepy things roaming the desert that'd love to take a bite out of the human population, literally. Which gang will you back? Well, yesterday slowed things down, but it seems to have picked back up again rather nicely. We now find ourselves halfway through Friday. That weekend will be here before we know it! What have you all got set up for the weekend? I've got a whole heap of chores to get done before Gen Con in a couple weeks (new shoes, haircut, etc), but still hope to get some gaming in afterward. I'm gonna need my strength. Better fill up on some bite-size gaming stories. Today on the platter we have: Dragonfather Tokens available from Advanced Deployment, Oddzial Osmy’s 3mm July Releases Arrive at PicoArmor, Blackwater Gulch 2nd Edition Kickstarter Launches August 15th, The Animal Games Coming To Kickstarter August 2nd, and Short Fuse Designs Launches Tokens Kickstarter. So you're out in the Wild West and you've got all sorts of werewolves, werecats, and even some werebears running around. What're you going to do about it? Build yourself a Werecatcher, of course! At least, that's what the people in Blackwater Gulch did, and now you can add it to your lists. Gangfight Games is also showing off some new 3D renders. 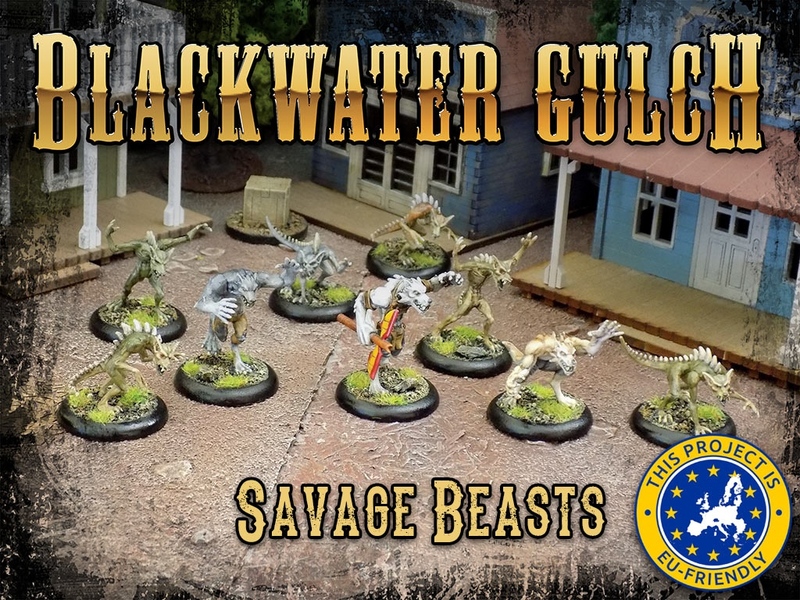 Ok, Young Frankenstein references aside, if you want to get some Werewolves for your Blackwater Gulch games, you can now. Awoooo! 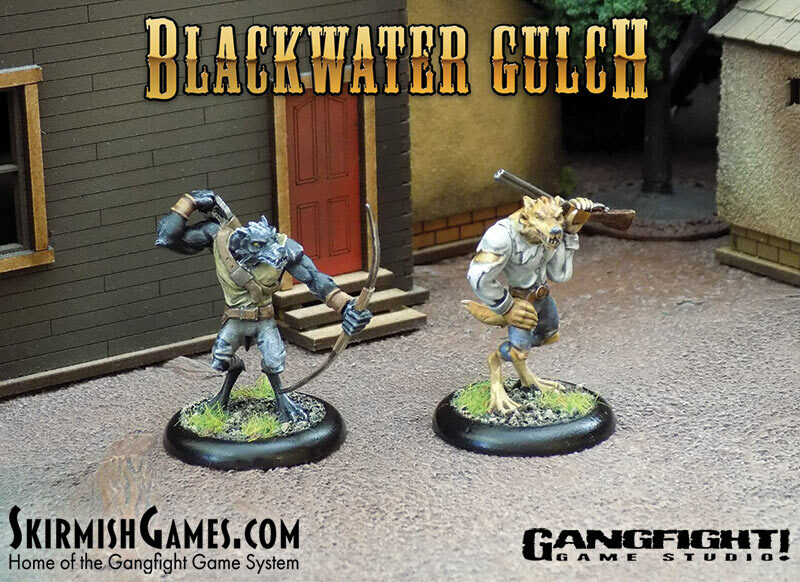 Werewolves of Blackwater Gulch. Awoooo! Ok, so it doesn't quite roll off the tongue as Werewolves of London, but waddyagonnado? 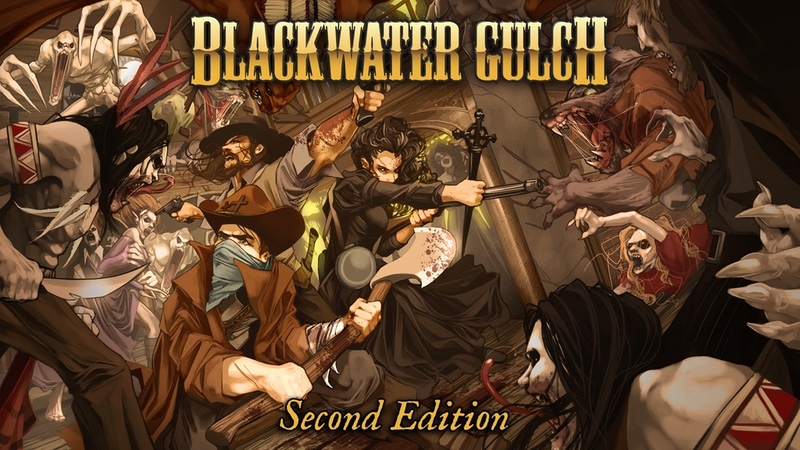 If Gangfight had put Blackwater Gulch in London and not... well... Blackwater Gulch, it just wouldn't be the same game, would it? 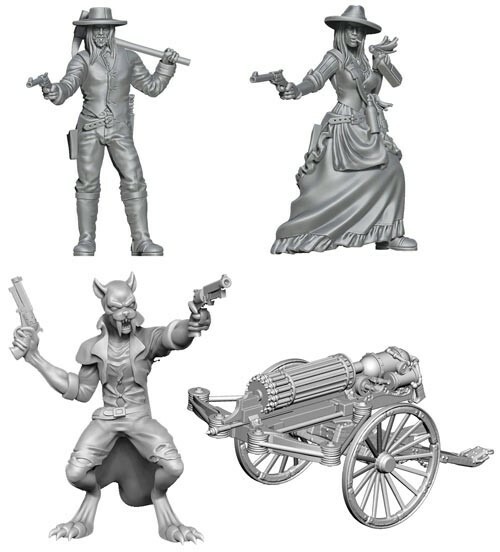 Anyway, there's a pair of new werewolves now available to pre-order for the game. Blackwater Gulch is a rather wild place. Our friends over in Britain might say it's down right beastly. 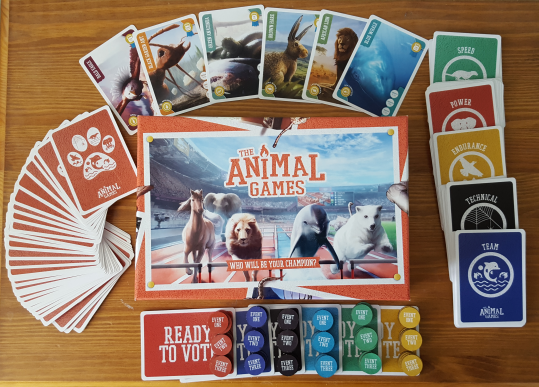 Well, at the conclusion of the Kickstarter that just launched, that will be literally the thing to say, as the campaign hopes to bring some new beasts to your tabletop. Seems just about everyone is coming out with new editions of rulebooks this week. Or just new rules in general. Getting a new version put online for people to view is a popular activity. 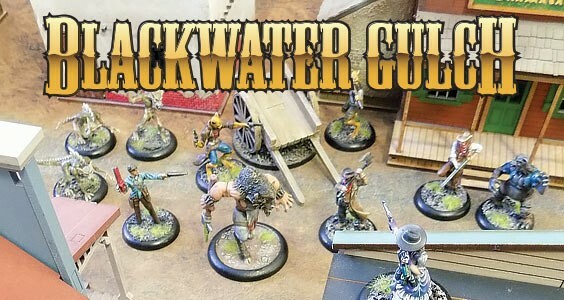 And Gangfight Games is getting into the act with an updated version of Blackwater Gulch. 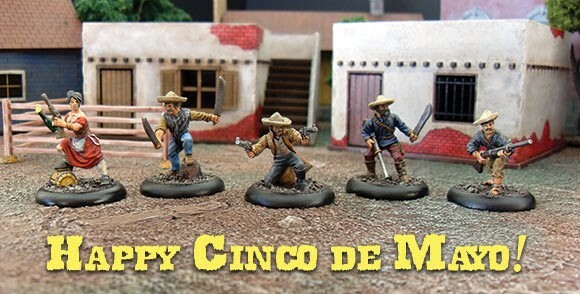 Gangfight Games gets into the spirit of Cinco De Mayo by offering 10% off their Bandidos Mexicanos starter set for Blackwater Gulch over in their webshop. 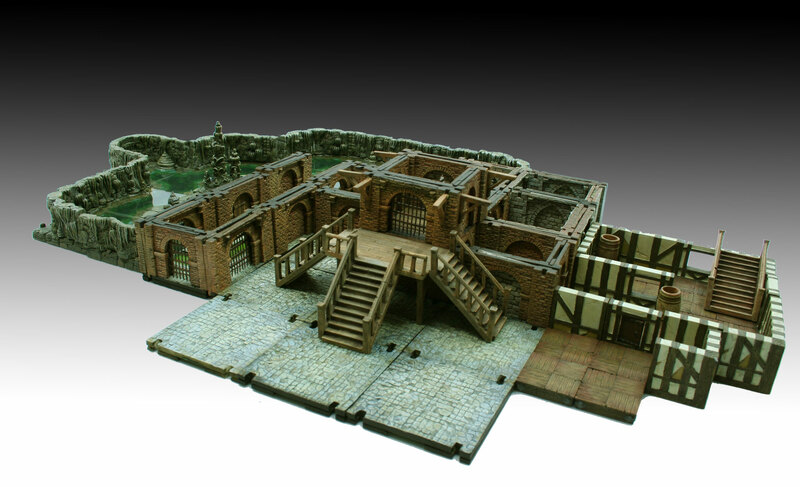 They've also teamed up with Angry Mojo Games, who is giving discounts on their wood-cut terrain if you use the code "BLACKWATER" at checkout. Added to that, Gangfight Games is showing off renders of their Chupacabra Pack for the upcoming Savage Beasts Expansion. 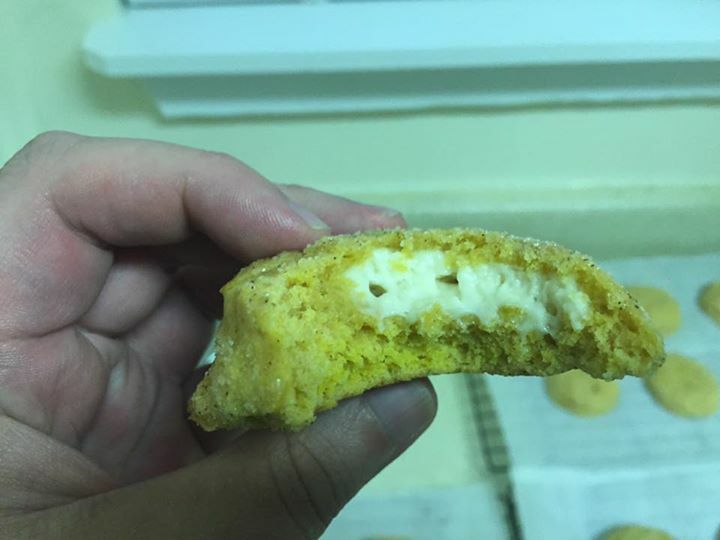 You can check those out below the cut. 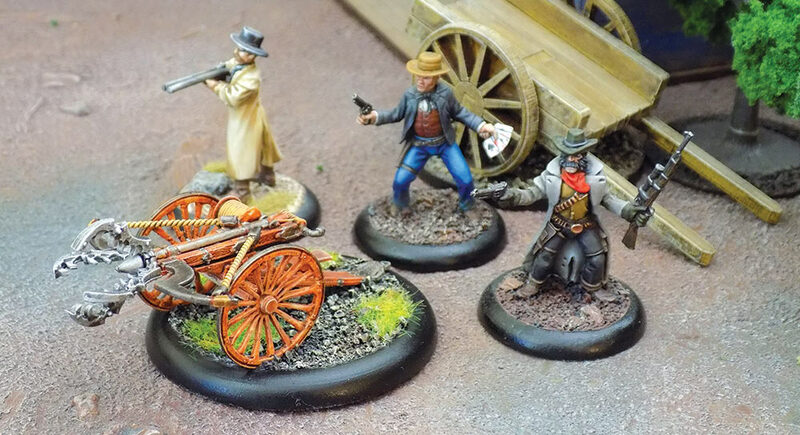 Gangfight Games is looking to bring some new minis to the Blackwater Gulch line. They've got the playtest rules for their Savage Beasts expansion up on their website for you to check out. 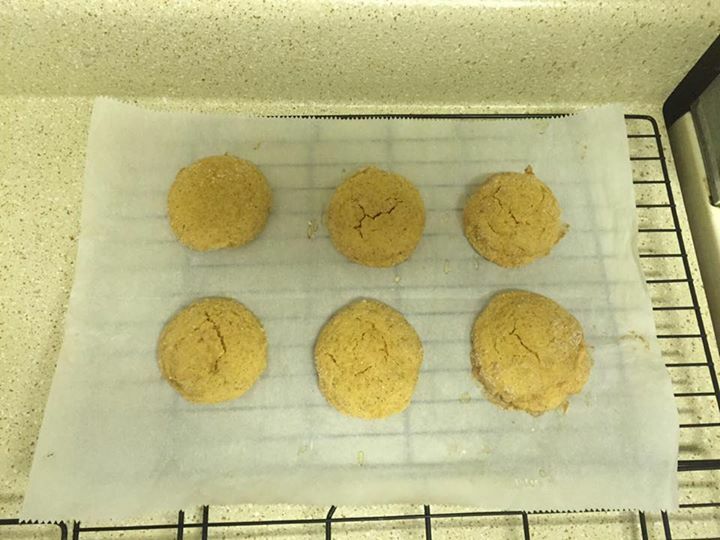 Give 'em a look-see and post your feedback. Hmm, that Werebear art seems familiar. *looks at my right arm* Oh yeah. Another Heath "BA" Foley masterpiece. 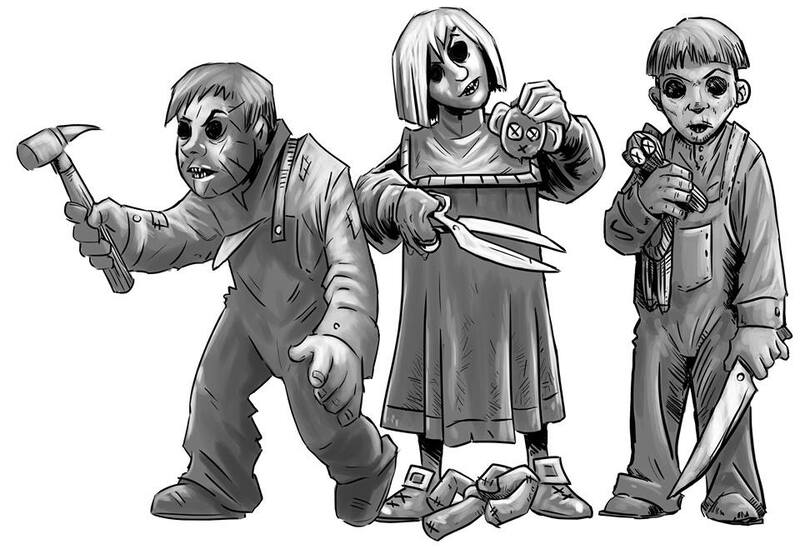 Anyway, they've got the rules up now and will be running a Kickstarter for the minis in a couple months.